Man: My tongues are tied. Small town life in the 60's. Life in the '60s but this time as experienced in a small Australian town in the middle of nowhere. The story isn't new - Sam comes back to the town he left and the girl he left behind,Meg, now seeing his best friend Johnny. But the way it is filmed with unusual shots, great atmosphere and soundtrack and excellent performances all round make it a real treat. 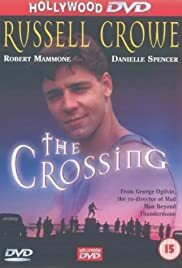 Russell plays Johnny who cracks up when he thinks his girlfriend is leaving him, with tragic consequences. You can easily see how this performance put him well on the track to playing Hando, Cort, Bud White and Maximus.